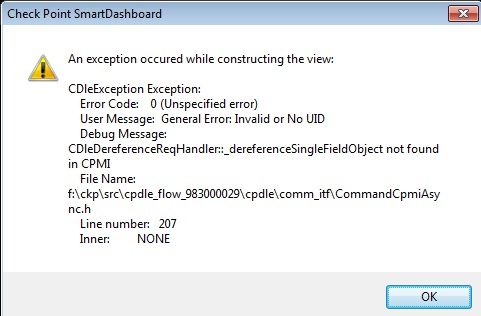 Solution is at CoreXL: Noticed that enabled cores differs on nodes, # fw ctl multik stat shows this to you. number of cores should be same at both members. 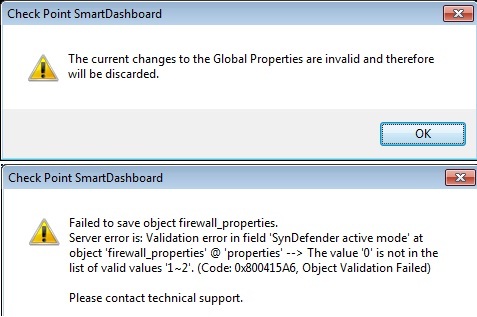 Failed to save object firewall_properties. 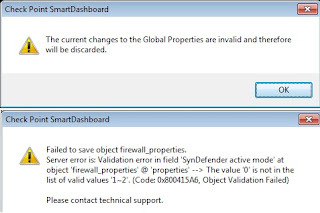 Find the related object via CTRL+F,In this example its firewall_properties, Change the value of the property (1) and click saveall, If it gives a similar error continue to fix it with needed parameter. This is a general solution for SmartConsole problems.. 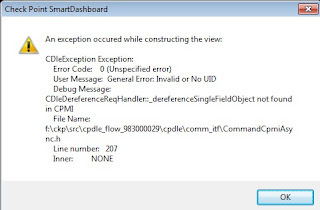 Updated Note: Checkout connectra_policy.C File , correct the corrupted lines. Below operation should be done at the scenario where two checkpoint clusters work on the same network.